Pets As Therapy is Cosyfeet’s charity of the year. The charity's aim is to match volunteers and their pets with establishments to provide comfort, companionship and therapy to those in need. They provide therapeutic visits to hospitals, hospices, residential nursing and care homes, schools and many more placed with their temperament-assessed pet dogs and cats. 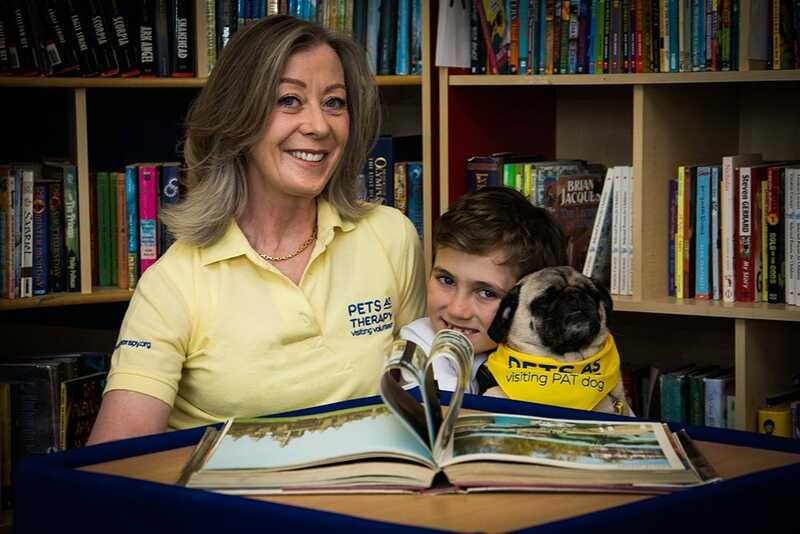 The money that Cosyfeet raises will go towards their Read2Dogs scheme which helps children increase their confidence and enjoyment of reading. Research has shown that Pets As Therapy dogs can provide comfort, encourage positive social behaviours, enhance self-esteem and motivate speech by reducing stress levels in children. Some young people find it difficult to read out loud to others and can feel nervous or stressed. 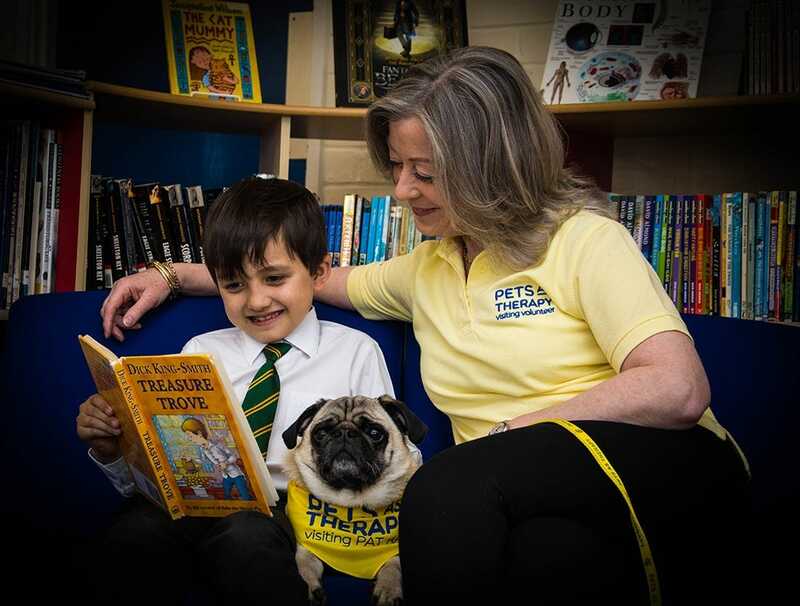 Pets As Therapy has found that when they read to a non-judgmental PAT dog, these children become less stressed, less self-conscious and feel more confident reading in front of others. A pilot scheme using reading dogs at Westfields Junior School in Yateley, Hampshire, yielded dramatic results. The school found that all 20 pupils who took part in the scheme felt more confident about reading afterwards. They also found that 60% of pupils made three months' progress in reading ability in just six weeks. Click here to read more about our charity of the year, Pets As Therapy.